It is not really known how Charles Stokes, born in Victoria, working in Brisbane at the time of his enlistment, came to be honoured with a memorial tree in Eumundi as he lived in Cooroy the next town north. 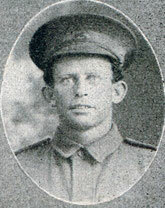 Charles enlisted with his brother George Robert Stokes in 1915 along with two other brothers living in Lismore. They had consecutive numbers in their Battalion. On 31 March 1916, Stokes embarked from Sydney on the HMAT A16 Star of Victoria. The time he spent on the Western Front was the coldest winter on record and conditions were deplorable with the bitter cold and damp and blankets freezing in the night. On 27 February 1917 he was taken to hospital with a sever attack of bronchitis. He died on 1 March 1917 and was buried at Estaples Military Cemetery France with full military honours. 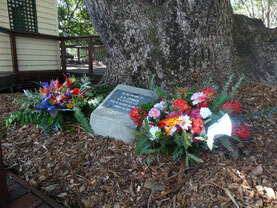 With a memorial tree in Eumundi, his name also appears on the Cooroy cenotaph.